Jesus falling from the sky over the Gnar Car. Photo: David Marano. 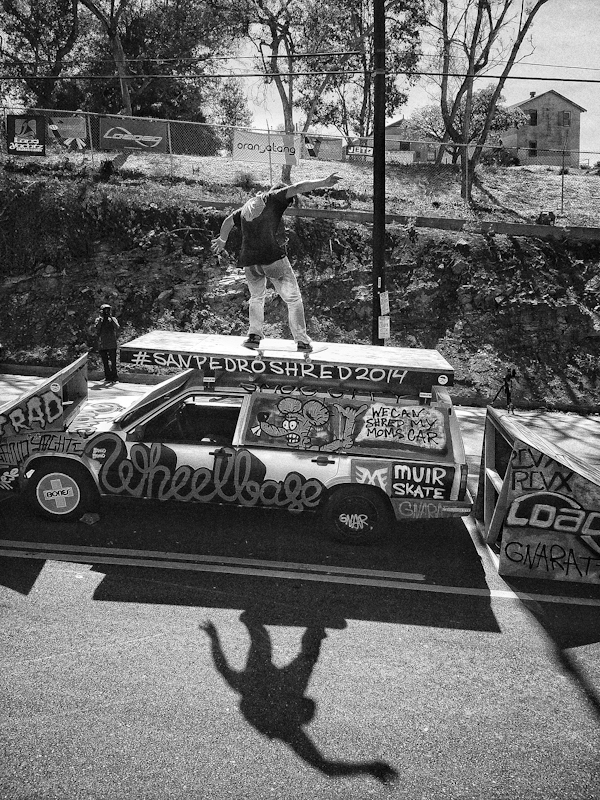 For Wheelbase Magazine, the San Pedro Shred: Festival of Skate began three years back, when we held our first downhill skateboarding event in San Pedro, California under the name “San Pedro Shred“, which was an unsanctioned, slide jam event with an unprecedented turnout of over two hundred-plus local and international downhill skateboarders. 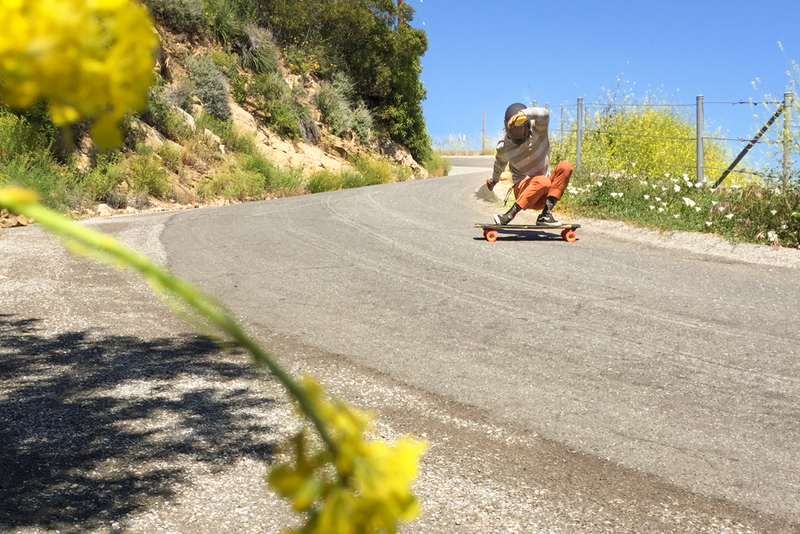 We started that day at Channel Street Skatepark and ended shredding a local Pedro hill. Good times! 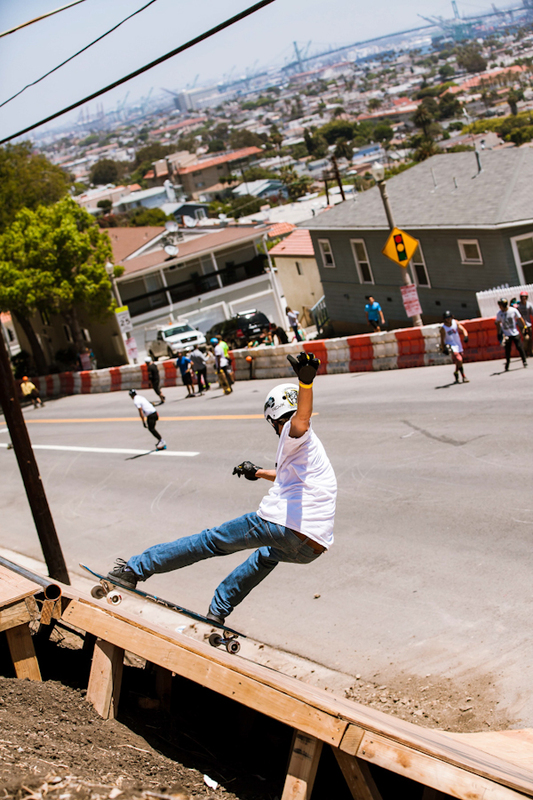 The San Pedro skate scene has a rich history harkening way, way back and has been thriving on all fronts over the years—especially with the current and global rise of downhill skateboarding. When we were approached not long after our humble slide jam back in 2011 by Resource Distribution, representatives of the City of LA, as well as Andy Harris of the San Pedro Skate Park Association requesting our support in creating an actual sanctioned skate event including downhill skateboarding; of course we replied with a resounding Oh, hell yes! Three years and two fully sanctioned Skate Festivals later, here we are!!! Ryan Ricker manual on the Gnar Car. Photo: David Marano. 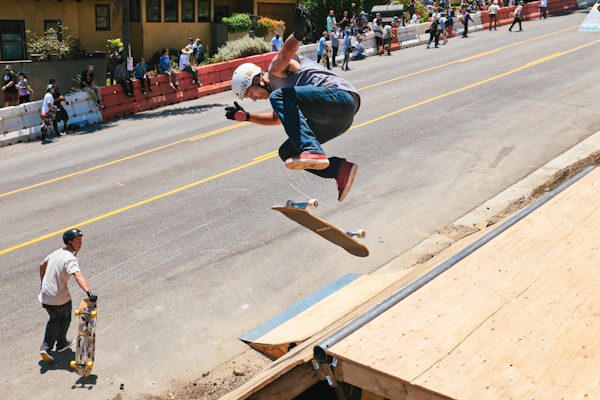 Louis Pilloni, fully pitted 17 feet above the Gaffey St asphalt. Photo: David Marano. 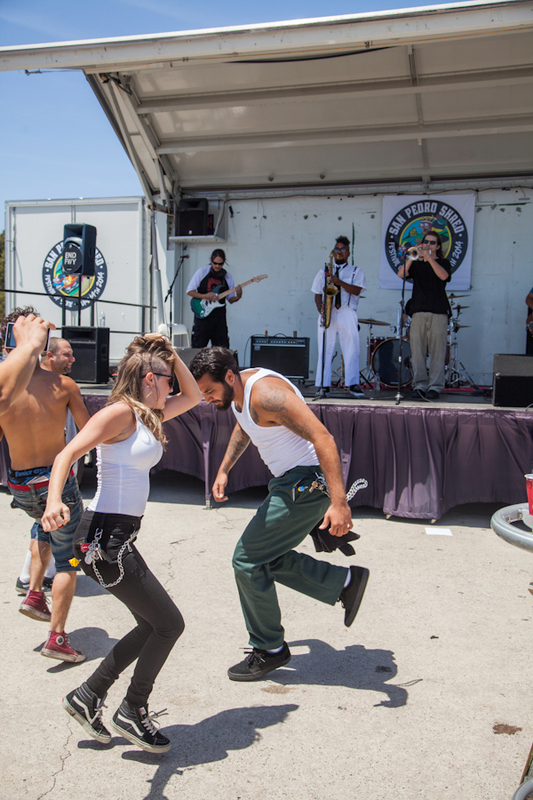 A couple weeks back on June 14th we successfully kicked off the second annual San Pedro Shred: Festival of Skate event. Thumbs way up! 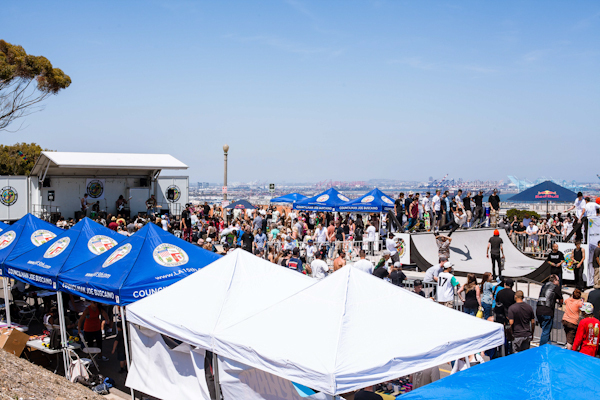 Just like last year’s event, this year’s San Pedro Shred featured local food, local live music, local vendors from a broad range of brands and industry, and of course, radical skateboarding of all types!!! Brand Parker with a speedy five-o grinder. Photo: David Marano. Jen doing her roller-lady thang on the Downhill Boomerrang. Photo: David Marano. Eric Jensen, frontal boarder. Photo: David Marano. 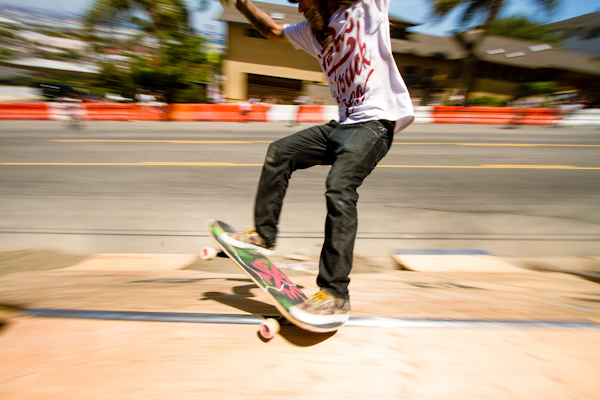 Gnar Car grinder action!!! Photo: Andrew Parker. 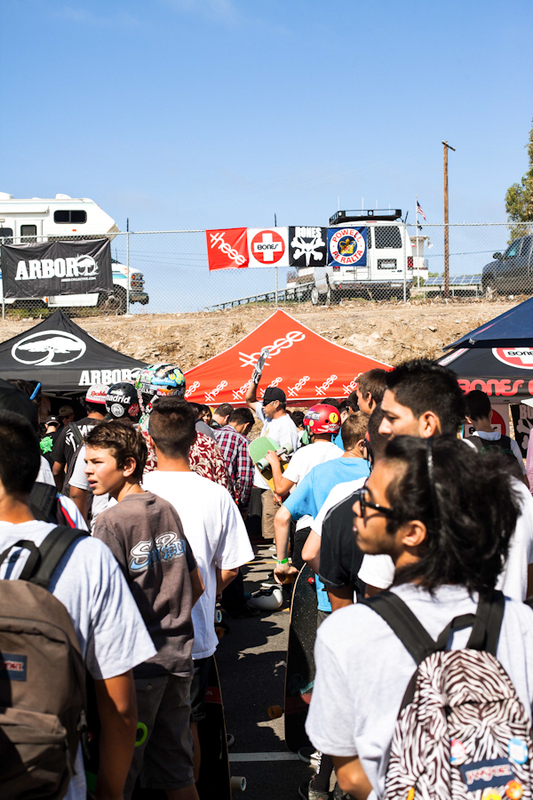 Wheelbase has been responsible for the main downhill attraction of the Shred event for both the first 2013 event as well as this year’s second annual 2014 event. 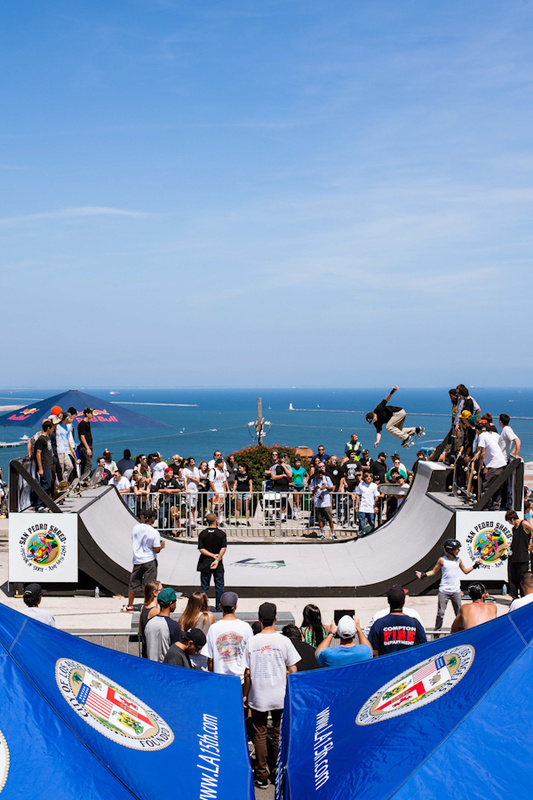 With the generous support from the community we were able to step-it-up huge this year with a 17 ft tall arched ramp (coping and deck this time around!) set right on the hillside. 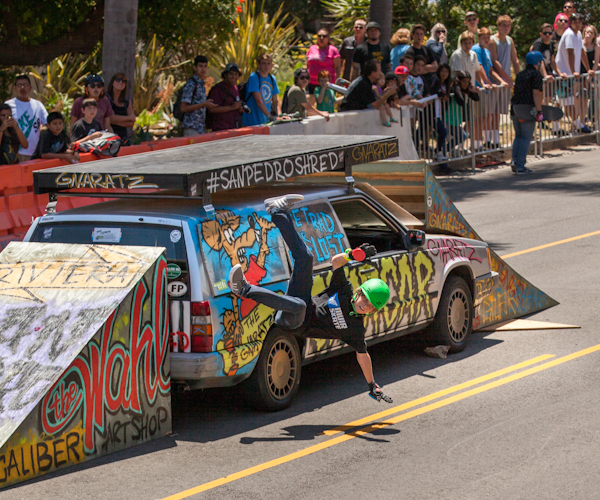 We also created a fully-skateable car which sat smack dab in the middle of the steeply descending Gaffey St and our friends at Loaded boards held a sweet instructional course for new downhill skaters near the bottom of the slide jam hill. 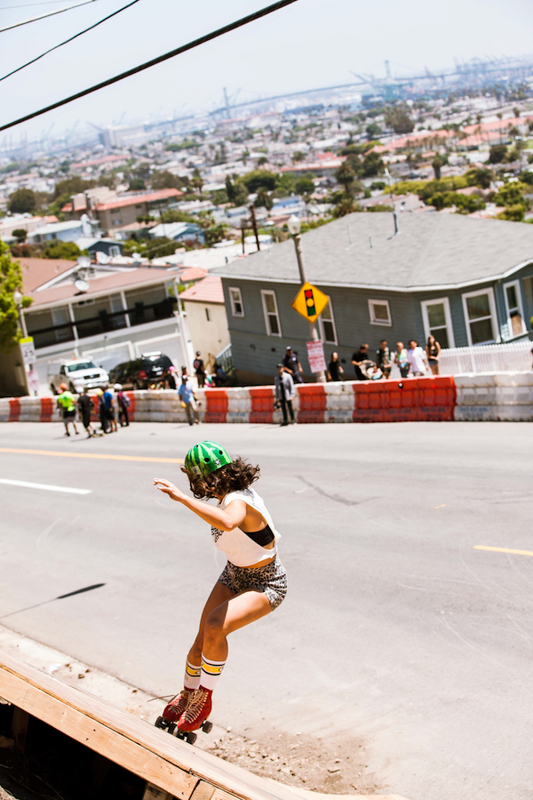 The international contingent of professional downhill skaters and the unprecedented amount of spectators were most definitely fired-up this year, and thus, our side of the Gaffey St. hill was packed all day long with wide smiles and radical styles. A good day indeed! 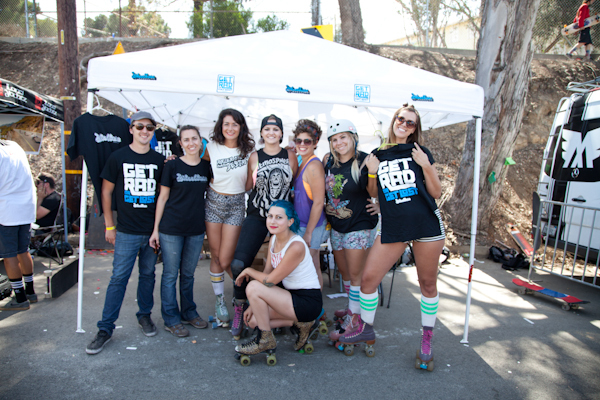 The Moxi girls getting rad at the Wheelbase Magazine booth with the #Fam. photo: David Ruano. 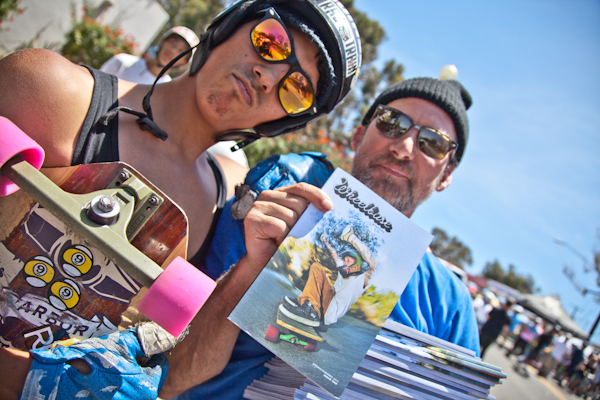 Councilmen Joe Busciano and Wheelbase’s very own Big D sharing stoke. Photo: David Marano. 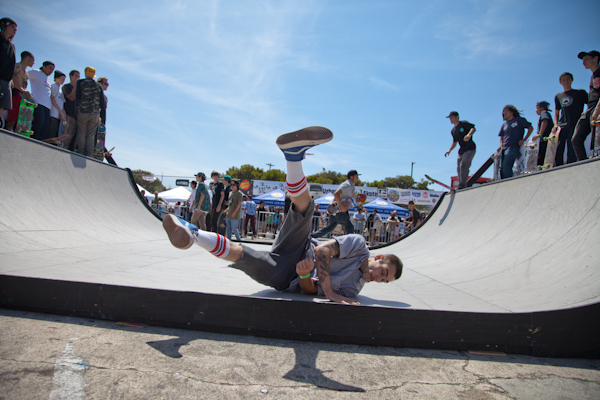 The Wheelbase presented slide jam and pro demo was not the only crowd pleaser of the day: both the new San Pedro Skate Park Association mini ramp, as well as the amazing live music and all the vendors of the Festival Area kept both skaters and spectators alike entertained and having fun all day long. Heavy ramp session overlooking the Pacific. Photo: Marano. Slammer jammer. Photo: David Ruano. Jensen on the extension. Photo: David Marano. Roller girls. Photo: David Marano. A whole lot of festivus going on in the Festival Zone! Photo: David Marano. 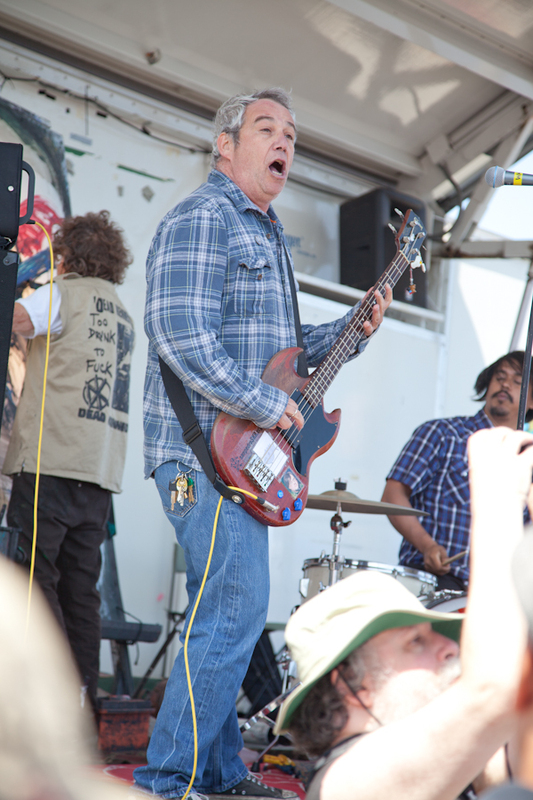 Mike Watt rocking for all the San Pedro Shredders. Photo: David Ruano. We dancin’! Photo: Brain Babish. The vendor tents getting crowded! Photo: David Marano. 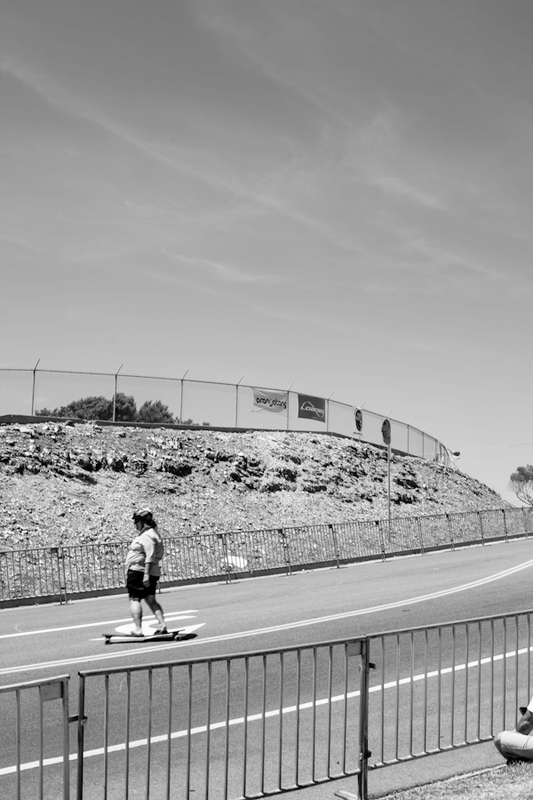 The “Bunny Slop” headed up by Resource Distribution and decanting down towards the Pacific Ocean was open to all skaters the entire duration of the day and a favorite for many beginner and novice shredders. 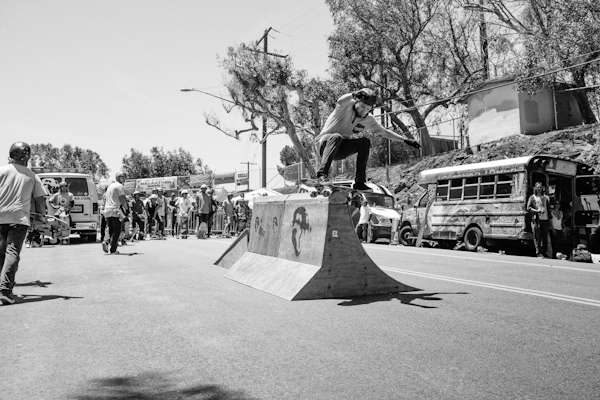 Fun runs all day long down the backside of Gaffey St. Photo: David Marano. Mellow pack runs to the Pacific. Photo: David Marano. A true concrete waver enjoying the Bunny Slope. Photo: David Marano. 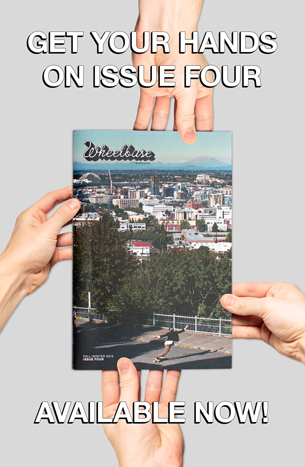 We out here reppin’ that Wheelbase Print Mag #shredlove!!! Photo: David Ruano. Legendary skate crafter, Paul Schmitt, enjoying the final hour of the Slide Jam. Photo: David Marano. Lofty one-footed Japan air off the Landyachtz kicker. Photo: David Ruano. 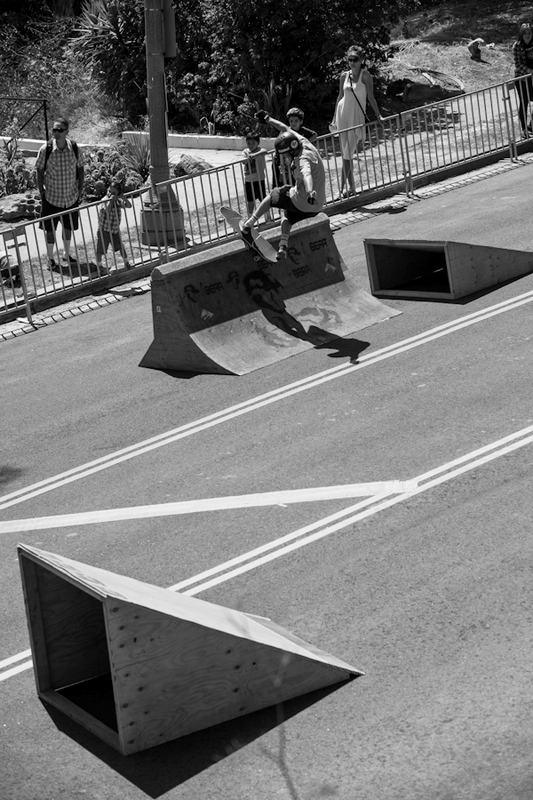 Shane Maloney, boardslide up, over, and across the curbed BEARier. Photo: Jake Fast. Jasper ripped hard; he also slammed hard! Photo: Brian Babish. 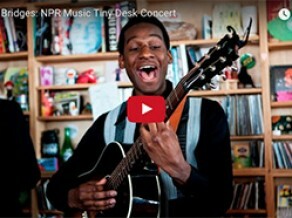 Slide jammin’. Photo: David Marano. Kawika Omoto, Kickerflipperer. Photo: Jake Fast. Off the wall. Photo: David Ruano. A very, very special thanks goes out to Gianine Rizzi at East West 3 as Event Production Manager. Gianine is the glue that holds this party together. Kudos! Thank you so much Gianine—mad respect! A huge thanks must go out to the local residents of San Pedro for hosting us and for putting up with all our hustle and bustle. A very special thank you to Councilman Joe Buscaino. A huge thanks goes out to all the homies over at Resource Distribution (Paris Trucks, Divine Wheels, & Riviera Skateboards) for all their support. 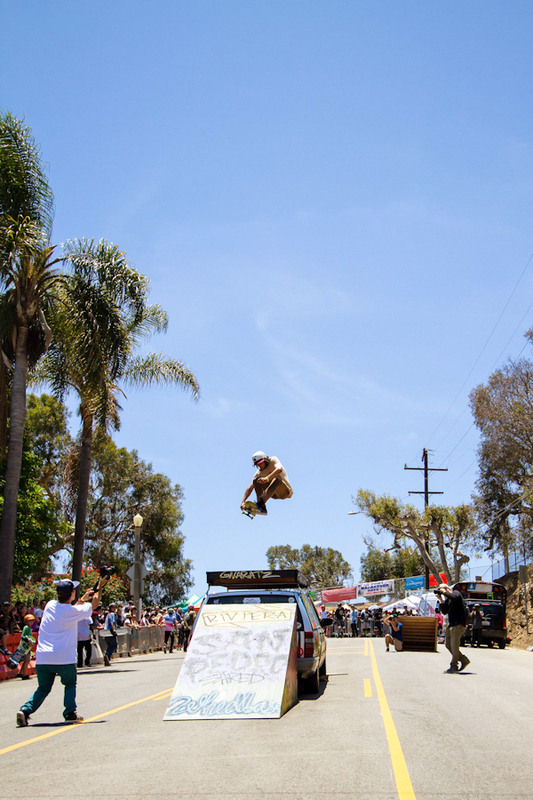 A huge high-five to all the sponsors that made the slide jam portion of the event possible: Landyachtz Longboards, Muir Skate, Jet Skateboards, Smog City Brewing, These Wheels, Loaded Boards, and Arbor Skateboards, Sector 9, Gullwing Truck Co, and Rider Approved Designs. 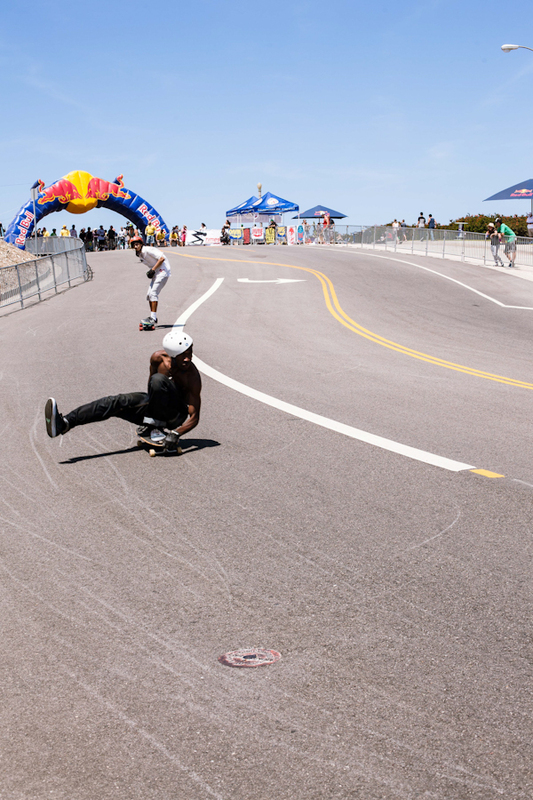 A big shout out to the Port of LA for kicking down hard for the SPSA miniramp. Mad props to Eben W for letting us use his PA system. 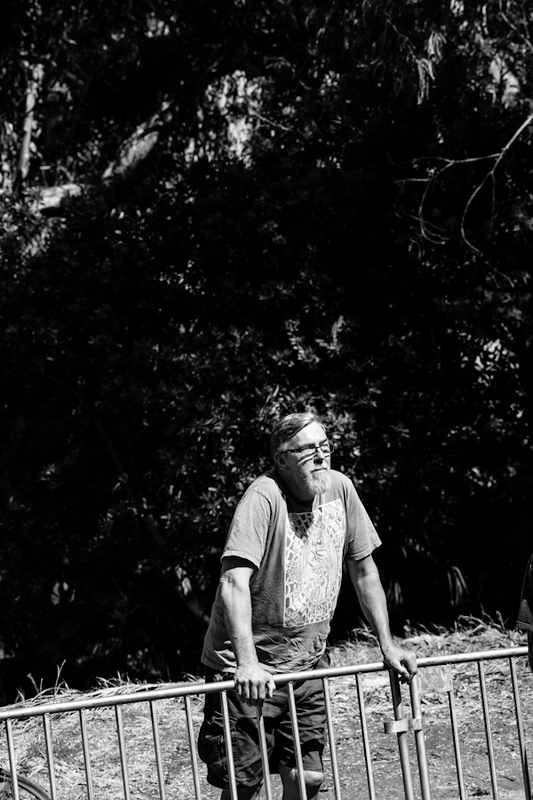 A bear-hug goes out to Big-D for helping design and build the Wheelbase “Boomerang of Radness” ramp—you stoked so many skaters with this crazy ramp. Hell yeah! Thank you Ryan Evans, Ashley Bandy, and Debby Marano for manning the Wheelbase Magazine tent. 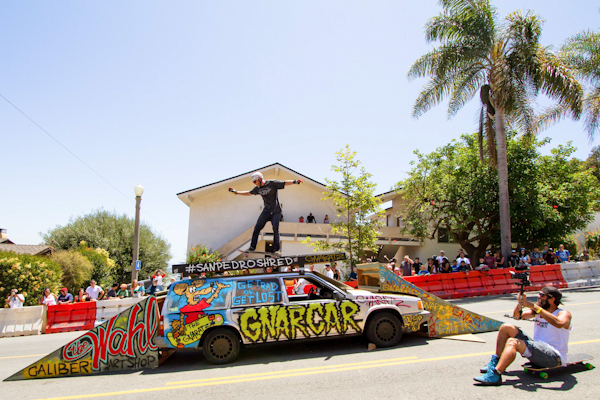 A bro-kiss to Brad Parker for building and painting the Gnar Car. Huge homie-downs to Seth Brown, the Ruano Family, Michael Marchand, that radical family from NorCal who provided us with beverages and stoke, and anyone else who helped us build the ramps. Big props to all the bands and Djs who cam out and melted-faces: Benny Roots, Flying Squad, Hell Dive, Massenger, Melting Pot, Toys That Kill, Mike Watt and the Missingmen, Fartbarf and others. . . A special thank you to Eric Garcetti for coming out to support the San Pedro Shred and helping us kick off this one of a kind event. Thanks to the LA City Fire Dept. Battalion 6 Dept Engine 48 and Rescue Ambulance 112 who supplied medical treatment and transport. A very special thanks to Fire Inspector John Williams who worked with us prior to the event advising us on our layout, and who stayed with us throughout the event to make sure things were running smoothly. Thanks to the Parks and Recs department who allowed us to utilize their parking lots and worked with us to make sure spectators had access to the event. A special thanks to LAPD who worked with us on parking enforcement and street closure to ensure the street was cleared for set-up and tear down. A special thank you to Investigator Llanes who assisted with our permits. A huge thanks to all our volunteers such as The Beacon House, and The House of Hope who helped set-up, tear down, do security, and assisted with parking and other logistics. To Drea Di Biasi who manned the registration and check-in booth. Thank you to Billy Deans our MC who rocked the mic in the festival area and kept the crowd going. 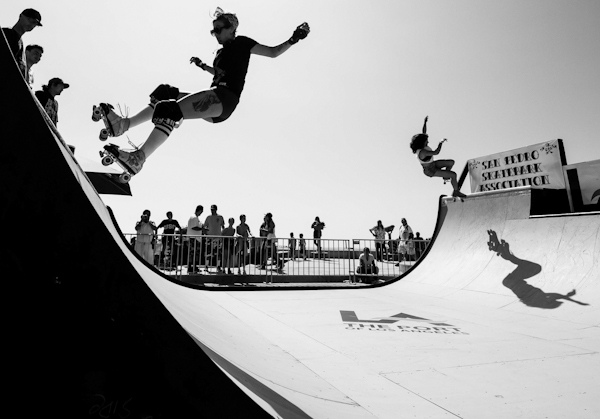 Thank you to the Port of LA for the epic half pipe. 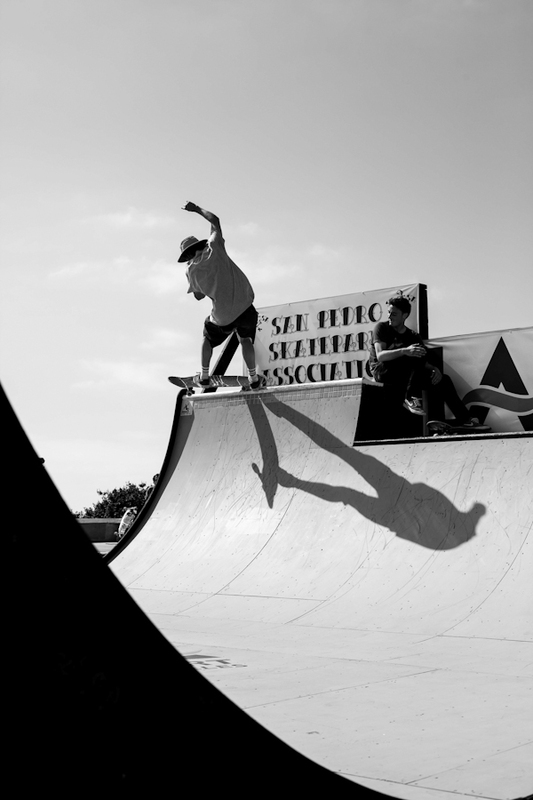 Thank you to Andy Harris, Bill Seargent, and Robbie from San Pedro Skate Park Association. A huge thanks to the Warner Grand Theater, Smog City Brewing, Paul Kwon, Ray Barbee, and everyone else that supported this event via our two fundraisers. Thanks to Otto Henke of Urban Feet and Skate. Scott Acher for his radical art. Of course, thank you to all the skaters that came out and shredded the event and shared in all the amazing good times and future memories. To anyone we forgot, apologies—your support is greatly appreciated. Lastly, a huge thank you to the most amazing person in the world, Ashley Bandy. Thank you Mrs. Bandy for putting up with our editor and his shabonie, and for allowing a pack of crusty skaters crash and lurk in your home. Much love, respect, and appreciation! Great coverage guys, we'll for sure be out there next year! Thanks Jim. Man, what a great time this year. 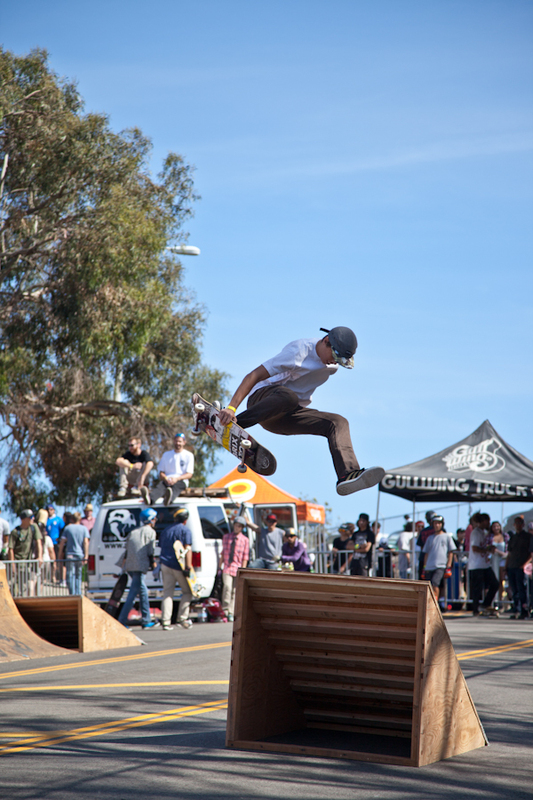 So many rad skaters there and it was great meeting so many cool people. Def see ya next year. Great turnout this year! Wasn't able to make the previous one but I look forward to making this a yearly tradition. Rad! We look forward to it!